It is a great pleasure for me to be elected the president of Monkstown Football Club in the Club’s 134th season. Many changes have taken place over that period of time, but some things never change and clubs face the same problems that they did over a hundred years ago. Monkstown was a senior club in 1883 and the aim of the Committee and players was to maintain their position as one of the top 3 or 4 teams in the country. Today the position has changed and the league system and the professional game has put great pressure on all Rugby Clubs, not least on Monkstown. We play in the Leinster League Division 1. This is one of the most difficult and competitive divisions to play in, not least because matches in this division are played on a Saturday. It is vital that we stay in this league. I have full confidence that with the help of all club members and supporters, the team, management, and trainers will be up to the task, and wish them all the best during the season. I would like to take this opportunity to thank all our sponsors and especially Optimum Nutrition Ireland, our main partner. May I also mention our bar and catering staff, our Executive Committee, and all those who volunteer to help the club during the season. Without their help this club would cease to function. We are always looking for volunteers so if you think that you can help, let the committee know. 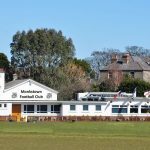 As with most clubs we are always looking for new members, both players and pavilion, so I would ask all club members if possible to introduce new people to the club with a view to joining Monkstown. There are many different nationalities living and working in Dublin, if you know any that would be interested in joining a Rugby club or even playing Rugby, bring them down to Monkstown. The members are the life-blood of a club, and the more members that we have the stronger the club will be. If any of our playing members are thinking of retiring from playing, because of injury, old age, or just plain fatigue, I would ask them to consider to taking up refereeing to keep fit. Monkstown has a long tradition of supplying referees and we would like and hope to continue with this tradition. Finally (at last, many of you will be thinking!) I hope to meet and get to know many of you during the season, and I say to all visiting teams that you are most welcome at Monkstown and hope that you enjoy our hospitality.